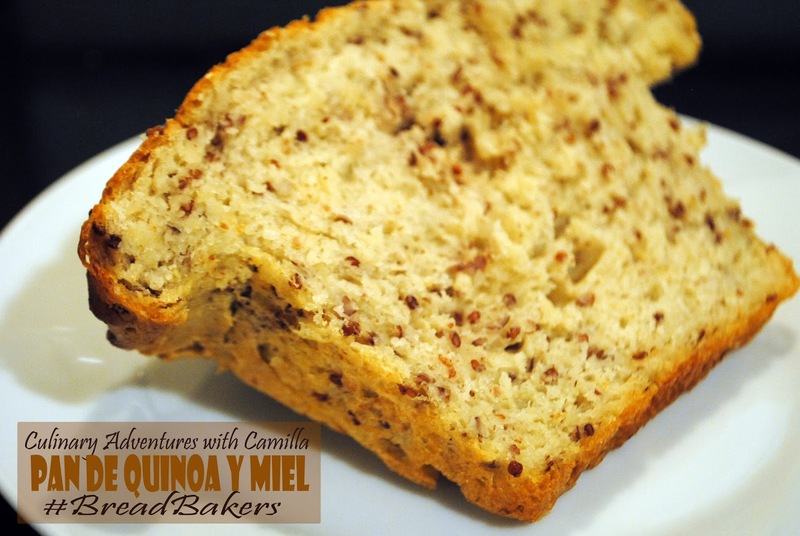 I made this loaf - Pan de Quinoa y Miel - for the #BreadBakers' December event. See the bottom of this post for more information about this great bread baking group. Our hostess this month is Mireille of Chef Mireille's East West Realm who picked a quinoa theme for the month. Thanks, Mireille! Quinoa is a high protein grain that has been cultivated in the Andes of South America for hundreds of years. 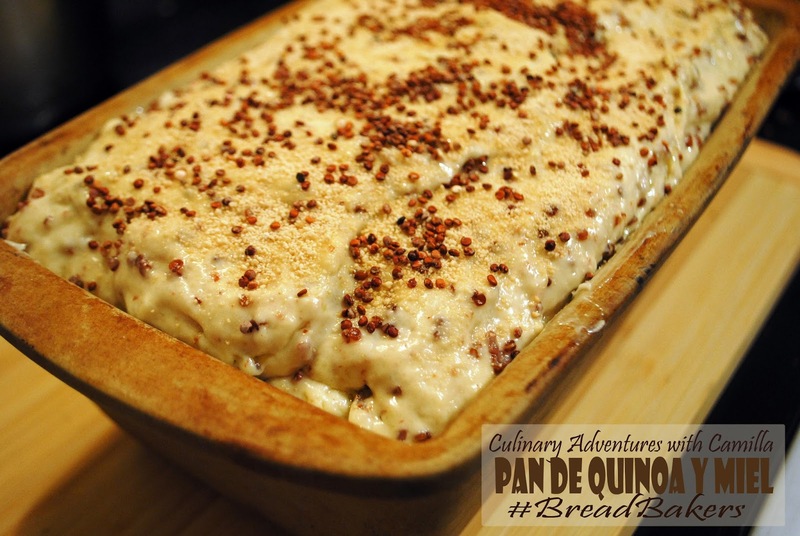 Recently 'redisovered' for its nutritional properties, quinoa adds a pleasant chewiness and slighly nutty flavor to this wholesome bread. Place the hot water in a large mixing bowl, sprinkling the yeast on top. Let bloom for ten minutes. Add honey and salt. Add the cooked quinoa, flour, and ground almonds. Blend until well combined. Knead for 3-5 minutes until it is smooth and soft. Oil the dough and the bowl, cover and let rise in a warm spot for 45 minutes. Once it has risen, punch it down again and shape move to a buttered loaf dish. Let rise again for 15 minutes. 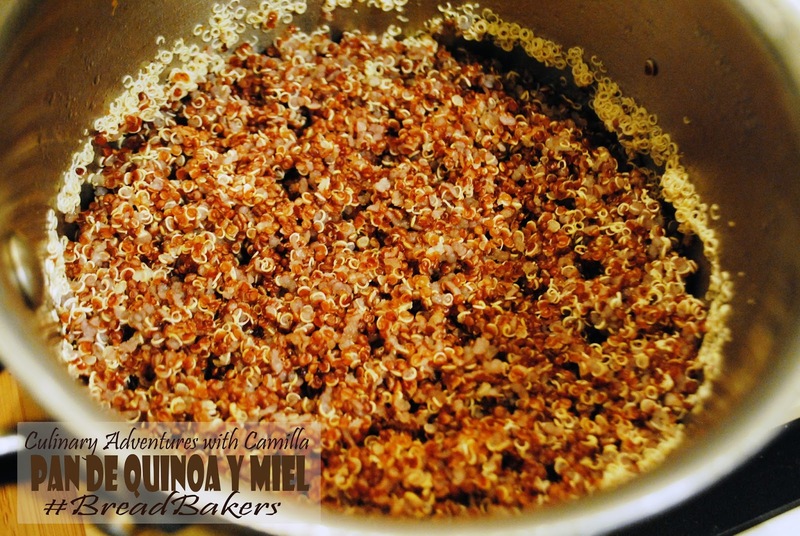 Sprinkle with granulated honey and uncooked red quinoa. 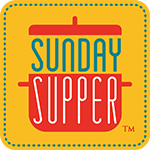 Preheat the oven to 425 degrees F. Bake for 20 minutes at 425 degrees F. Reduce the heat to 375 and bake for another 15 minutes. Remove the baking pan from the oven and rub the loaf with stick of butter - just until it glistens (not the whole stick!). Let cool for 10 minutes and serve warm. I love the use of red quinoa here. Love the look. I love it, too! It's so much prettier than the regular quinoa. Rub the loaf with a stick of butter, you say! What a wonderfully tasty idea. 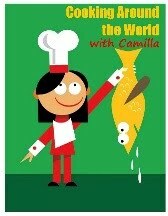 I love your quinoa honey loaf, Camilla! "rub the loaf with a stick of butter" - I'd bake the bread just so I could do that. Haha. Okay, I edited it to be a little more descriptive..."just till it glistens..."
I'm with Stacy and Renee, rubbing with a stick of butter sure got my attention! Looks like a really nice chewy and soft crumb. Thanks, Adam. I re-wrote that to be more descriptive. ;) But it was was nice and chewy and soft. Thanks for reading. 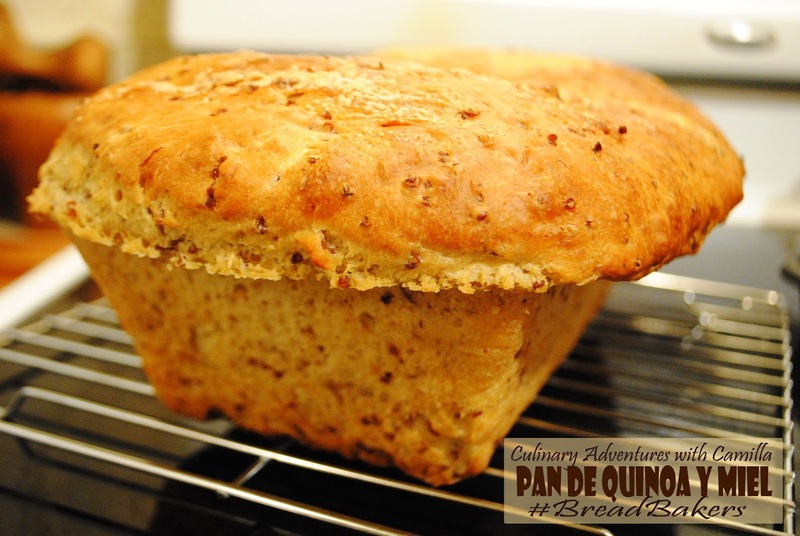 Love the "hat" on your bread =) The addition of the almonds sounds like it would balance the quinoa beautifully, and the red quinoa makes your bread look great! Quinoa and almonds are a great combo. A really delicious and great looking bread. Ground almonds sound great in here! Beautiful, Camilla! Love the red quinoa-great pop of color.